Yesterday when I wrote about what can make your pitch deck sizzle, I alluded to the fact that there are excellent pitch decks out there. Rather than have you search for them, I’ve compiled two actual decks from AirBnB and [Co] here as well as templates recommended by two venture capitalists that I admire. Hope you find them useful. Mark Suster is one of my favorite writers who delves deep in all matters entrepreneurs and VCs. His How to Create a Pitch Deck that VCs will Love is on the longish side but is where I’d start. And if that’s not enough, here’s a whole slew of them from Forbes and Konsus (50 decks). Have at it. For those who’d rather read a post – find the original When Should I Start Raising Money here. When should I start raising money? 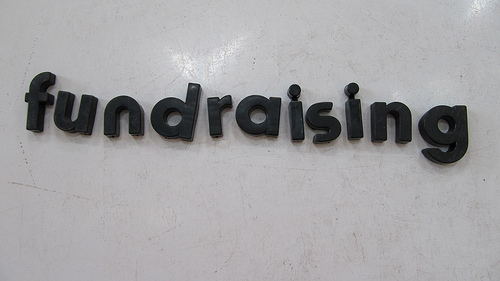 Fundraising, in many ways, is analogous to marketing and sales of your product or service. In this instance, the product is your team, company and business plan. So things we’ve come to accept and address in a typical sales process apply to fundraising as well. Process or cycle Just as making revenue involves a selling cycle, raising money also involves a cycle, with its own elapsed time (typically 6-9 months depending on how big a round you are trying to raise, market conditions and of course your business and team). Which means the sooner you start, the better it is. At times you begin the process before you have a product or prototype (whether selling or fundraising) but in general, sooner you get out there the better it is. Relationship-building Just as in a product or service selling cycle, you’re only hustling your offering – but building a relationship with your prospect. Ideally, you want the customer to buy more than once, you want them to buy sooner, at a better price. All of this involves a trust-based relationship. Fund-raising requires similar comfort and trust in the relationship, which requires more than one meeting – only time and repeated meaningful encounters, whether in person, phone or email is it built. Given all three things, the process, relationship building and risk-mitigation take time, the sooner you start, the better off you’d be. To be fair, raising money poses its own set of risks – notably eating up time that you should be spending on building your business or distracting and possibly de-focusing you as you get varying inputs from different sources. You need to balance that with your need for capital and the timelines within which you need that capital. Happy hunting. How much money should you raise? Entrepreneurship literature suggests too much money can be as much (or greater) a cause for business failure as not enough money. Of course the same literature suggests that under-capitalization is the primary cause of slow to no growth of startups. Better minds than mine have grappled with this issue, in a variety of manners. However most of them are set in the context of the US of A. I provide links to several at the end of this post. Nature of business – is it a service business, that is better boot-strapped? Web design, IT services, most consulting businesses all fall into this category. Does it require significant capital expenditure or up front investment – multi-location courier service or restaurant, manufacturing or high tech businesses fall into this latter category. Of course a slew of businesses fall in between these two – which would put them in the sweet spot for formal fund raising. Nature of capital – are only friends, family or fools going to fund your business – most businesses would fall into this category – particularly service businesses that are going to stay small or local. If you are already profitable or revenue making and are looking for capital to grow, you’re likely better off with debt. Of course in the Indian context debt may be non-trivial to access, despite a pile of money being available. Or do you need equity capital – as offered by angels or venture capitalists? Assuming that you are a fundable business, I’d suggest asking the following three questions to determine how much money you should raise in your seed, angel or a series A round. How much are you likely to spend over the next 18 months for your business plan? Do you intend to raise another round and If so how many rounds do you anticipate? How much of your business will you be diluting in both the first round and subsequent rounds? You’ve finally taken the plunge. Quit that steady paying job, roped in a couple of friends and started your own business. You’ve even squirrelled away some money to pay the rent and keep the wolves from your door, at least for a year. If you are smart, you are still working out of a coffee shop or your father-in-law’s basement (or attic) and keeping your burn rate low. And all this before the market imploded and the economy slid from being merely slow in to a full-blown recession. You’ve even managed to line up the first customer and then it hits you — you are going to need money to buy hardware, software and pay those two programmers you plan to bring on board. The capital you and your partners had pooled together no longer looks like it will stretch as far as it needs to. Barack Obama might have been talking about your business in his inaugural speech when he said: “The challenges we face are real, they are serious and they are many. They will not be met easily or in a short span of time.” Alas, because you are not a Wall Street firm or even a regular old bank, the Government is unlikely to step in and bail you out. You realise you are on your own. A friend asked me recently, “How is an entrepreneur going to find funding in times such as these? Even with a compelling idea, I suspect it would be difficult to get people to fork out money. And even if you do get start-up capital, managing working capital will be difficult, won’t it?” This was right after my waxing passionately in an earlier column as to why the right time to start a business is always ‘now’, carpe diem and all that! So if indeed the best time to start a business is ‘now’ — in a downturn — what should an entrepreneur do for money? Even if you figure out a way to find money, is there such a thing as good money or bad, for that matter? And don’t even the smartest of boot-strappers need working capital? The best way, in my mind, to run a business is to get your customers to pay for it, preferably up-front. At first glance it may seem outrageous, but getting customers to pay you is not merely about money but about validation — of your business, the value you bring and yourself. If it can work for lawyers, accountants and other service providers (all of whom you encountered when you began your business), there is no reason why it shouldn’t work for you. I don’t intend to trivialise the raising of money. Unlike trying to get venture capitalists (VCs) to invest in your business or your wife’s uncle to cough up cash, getting customers to pay your way may actually be worth all the time and energy you pour into it. It is hard, but not impossible. Whilst getting money from your customers is easiest done in professional service businesses, it can be done for virtually any service offering, and with some imagination, for product businesses as well. In my first start-up, $5,000 advanced by a customer was used to buy our first computer, develop software and to deliver it. Many an entrepreneur, freelancing for the first time, has tapped their previous employer to be their first customer and source of (micro) capital! Bills unfortunately have a mind of their own and so they reproduce and pile up. Telephone calls, printing paper, Internet access — all generate bills even as you look to land that customer who will pay you in advance. So you will need some money before you can get customers to pay your way. In an ideal world, this is the capital the other founders and you would have brought into the business. As most of us discover this is never enough and even the visits to angel investors or VCs take up not just time, but money for travel and expenses such as a decent outfit to wear to those meetings. So let’s just admit it, we need more money than we thought we did. If Sumerian clay tablets are to be believed, entrepreneurs have been borrowing from their relatives forever. So family, beginning with your parents and siblings, are your lenders of first resort. For those brave enough, in-laws and friends form the next round of prospective lenders. Only spouses of the founders should be exempt from this global scan of relatives, by blood or marriage, as a source of loans or working capital. An alternate way to borrow from family or relatives is to have them guarantee a loan you take with the bank; this way they are not directly lending you the money, you get access to capital that you otherwise will not have and you are liable to the bank directly. While the relative who co-signs the loan is taking comparable risk whether they write you a cheque or co-sign at the bank, they don’t have the same near-term cash flow implications nor will they have to explain to their spouse why they are giving you money. Even when you are successful in raising debt by having family or friends lend to your company, don’t lose sight of the fact that you want customers to be paying you and continue to pursue that. It may no longer be in vogue to be told “A penny saved is a penny earned,” but it never was truer. A good entrepreneur is a penny pincher extraordinaire! Extraordinaire, because he can pinch ’em unseen without making a show of it, without giving his team a sense of being deprived or thinking that he is penny wise and pound foolish. Now might be a good time to learn the true meaning of the term ‘fiscal conservative’. Question every expense, anything that would involve the outflow of money from your business, including advances such as rental deposits. Rethink salaries, always the hardest thing to do, first. Don’t get yourself a new or fancy office. Look at every dollar or rupee you spend — do you really need to do that? Your borrowing from family need not be confined to just money, it could be work tables and storage units. Bring in your own lunch, reuse both sides of the printer paper, manage your mobile phone bills and see if you can take the train rather than the plane. Every little bit adds up and fiscal prudence is best learnt in tough times and can be practised subsequently in good times. If you practise all three strategies for raising money — getting your customers to underwrite you, borrowing from trusted sources and conserving what you already have — you will be in pretty good shape. And it is always the best time, when you are feeling safe and don’t need money desperately, to try and raise it from more angel investors, banks or VCs. Most importantly, you will be equipped to outlast the recession. This article first appeared in print in the Hindu BusinessLine in February 2009.